Point of Care - Pulmonary Tuberculosis Breath Test | Products | Menssana Research, Inc. There is a world-wide epidemic of pulmonary tuberculosis (TB). Once thought to be a near-conquered disease, pulmonary TB is now killing more people than ever, especially those infected with HIV in developing countries. That ’s why there ’s an urgent need for a rapid, accurate and cost-effective point of care test for pulmonary TB is Breath testing could provide such a test because the mycobacteria that cause pulmonary TB generate a very distinctive pattern of volatile organic compounds (VOCs) when grown in the laboratory. In a multicenter international study, a six-minute BreathLink breath test accurately identified active pulmonary TB. In clinical practice, a negative result on the breath test could identify people who do not have TB with nearly 100% accuracy. A BreathLink or BreathBag breath test offers a safe and cost-effective new screening tool for finding new cases of active pulmonary TB. (PDF Document) Point-of-care breath test for biomarkers of active pulmonary tuberculosis. (PDF Document) Breath biomarkers of active pulmonary tuberculosis. (PDF Document) Volatile biomarkers of pulmonary tuberculosis in the breath. 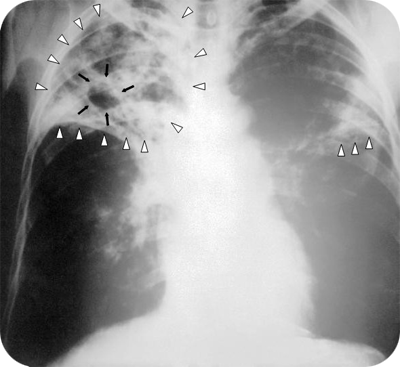 (PDF Document) Volatile markers of pulmonary tuberculosis in the breath.